Year after year, Ford commercial vans continue to be America’s most popular cargo vans by overall sales. Combined, the Ford Transit, Transit Connect and E-Series Econoline account for the majority of commercial van sales in the USA. At Ranger Design we’ve been manufacturing innovative Ford van accessories for almost 30 years and we have the accessories you’ve been looking for; no matter which model Ford cargo van you have or how it’s configured. Since 1961 the Ford commercial van has been the backbone of the mobile trade industry. Available in several models from cargo van, passenger van and pick up, the versatility and ability to customize the Ford cargo van has built a loyal and diehard following among tradesmen and mobile service professionals. 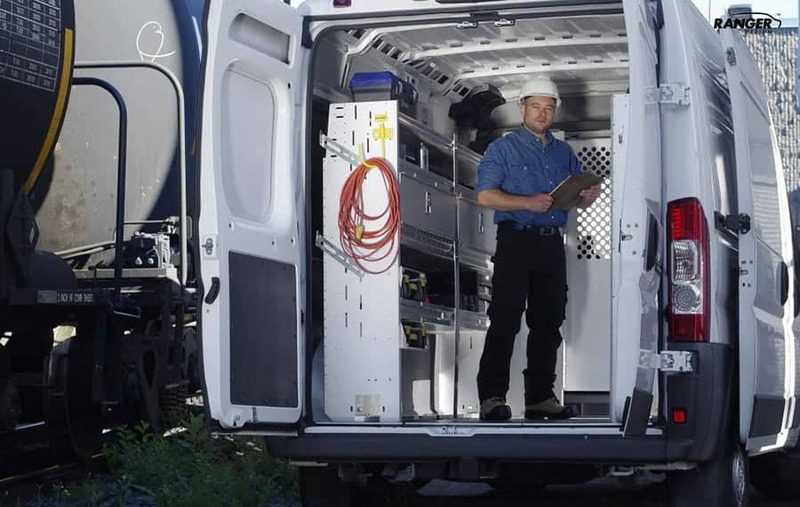 From Contractors to Plumbers, to HVAC specialists and Electricians, a Ford work van has been in service to help their business succeed. 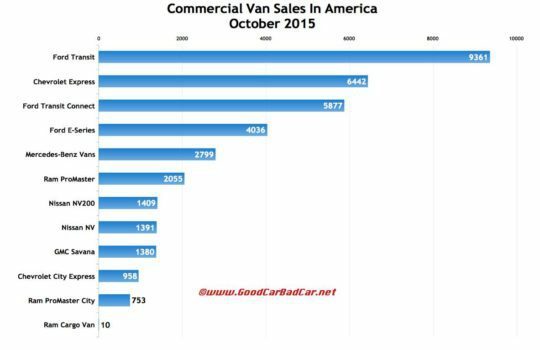 Today Ford leads the way with several models that take 3 of the top 5 spots for America’s most popular cargo van by sales. Although the Ford Transit has been a top selling commercial van in Europe for many years, it wasn’t until 2015 that this model began selling in North America and quickly became the best-selling van in only six months. More than any other commercial vehicle, the Ford Transit remains the king of adaptability. Besides several different engine/transmission configurations, it can be ordered in 3 different roof heights, 3 different lengths and with different door/window combinations to suit any tradesman. 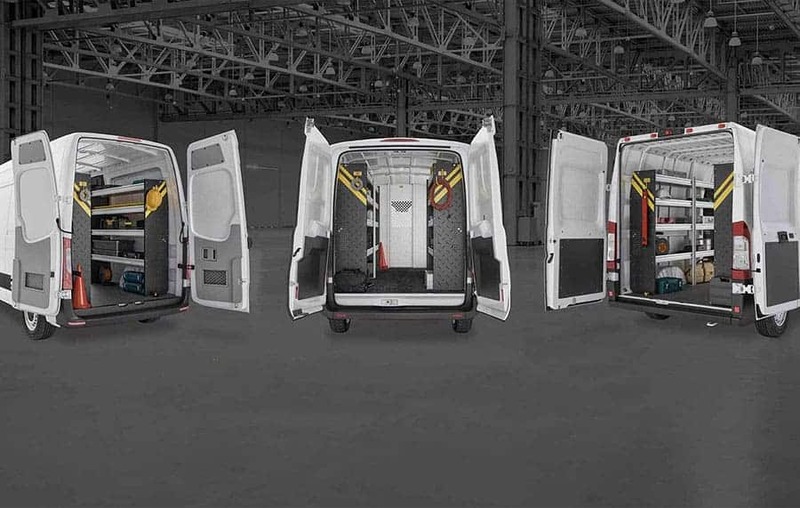 Its large cargo capacity and standing headroom make it the ideal choice for tradesmen who need a larger vehicle to haul extra equipment and material. Ranger Design led the industry to be the first to offer a complete line of Ford van accessories for the Transit when it first launched. In 2010 Ford introduced the Transit Connect. With cities getting more and more crowded, it’s a great choice for the tradesman who is looking for a less costly, more maneuverable vehicle than a full-size van. 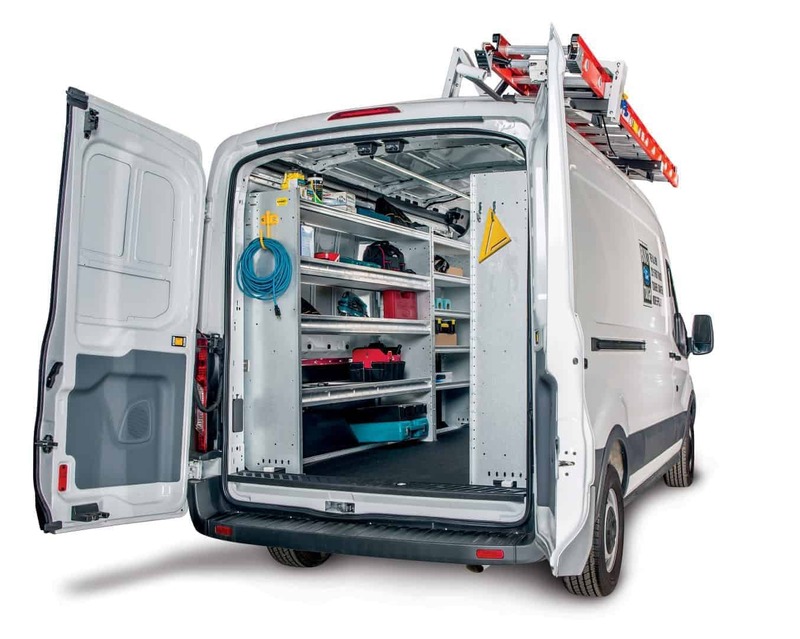 With a lower roof height and tighter turning radius, the Transit Connect is the ideal vehicle for getting around tight job sites, narrow streets and into underground parking garages. With a smaller cargo capacity than the full-size Transit, it’s important to choose the right van accessories that can really keep it organized and maximize the cargo capacity. 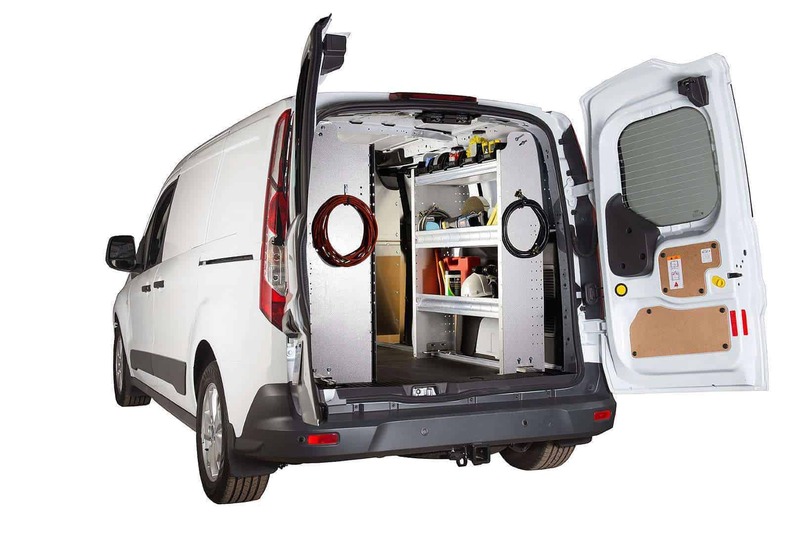 Selecting the right Ford van accessories for the Transit Connect will allow you to better manage the interior space of your vehicle and increase your productivity. Although now officially replaced by the Transit, the Ford Econoline is still a strong seller as both a new and used vehicle. For some tradesmen who need the power and capacity of a full-size van, the Ford Econoline still remains a popular choice. 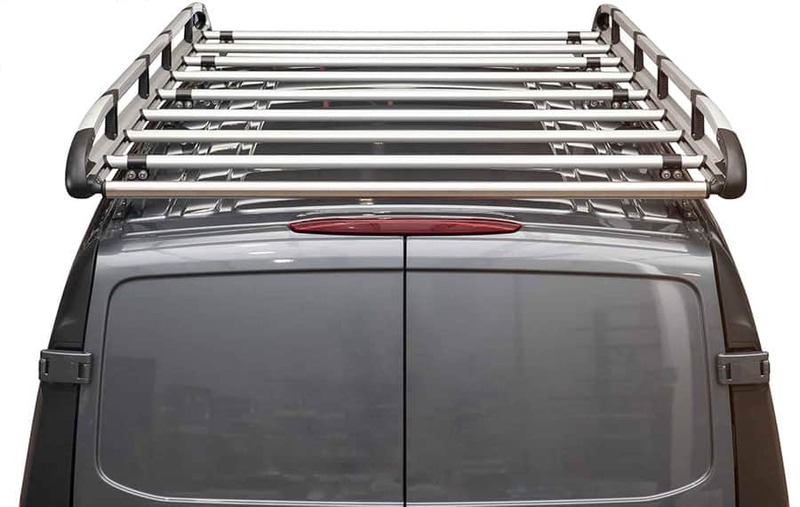 To ensure the extra capacity well organized and used effectively, Ranger Design has developed Ford van accessories specifically for the Econoline. All Ford commercial vans come from the dealer as empty shells, ready to upfit to your individual needs. Ranger Design can help you transform those bare shells into a well-organized work vehicle, one that helps you become more efficient and saves you money. To quickly get your Ford cargo van into service; you can choose from specially designed upfit trade packages. Complete layouts are available for: Contractor, Plumber, HVAC, Electrician, Locksmith, Mobile Service and Delivery. Check out one of our vehicle catalogs to get all the latest Ford van accessories for your commercial vehicle. All of our Ford van accessories are built using heavy duty materials and have been engineered to be quiet and rattle-free. We back our products with an industry leading warranty, so you’ll enjoy years of dependable service. For more information on Ford van accessories and upfit packages, call (800) 565-5321, contact us or request a quote.